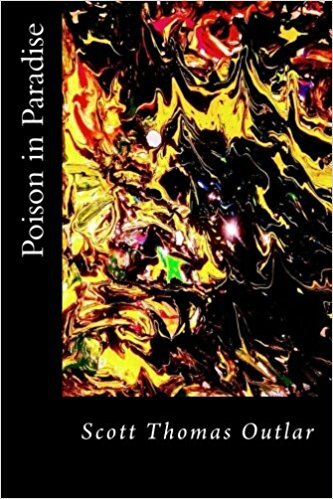 Poison in Paradise by Scott Thomas Outlar is a brilliant literary journey through thought and perception, the real and the imagined, the intellect and the soul. The cover art is beautiful, and the book is well-crafted. Divided into two parts and containing a whopping 67 poems plus photography and art, it is a triumphant work written in an honest voice that reads as large as a novel! What do you expect me to say?/That everything/is peaches and cream?/./The world is on fire./I'm preparing you/for the ashes/and what comes after. Outlar doesn't beat around the bush. He writes boldly, he paints pictures with words, he holds up mirrors and he touches nerves. He knows exactly how to portray the poison, the power, and the inherent beauty found inside us all.